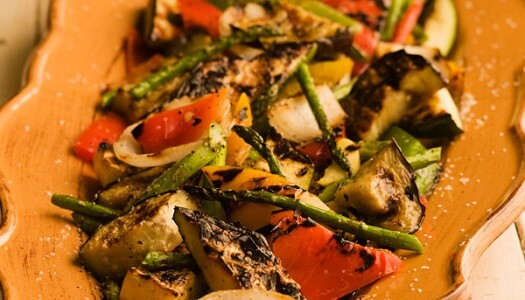 Nothing tastes better than grilled vegetables. Nothing! These are one of the best ways I know to encourage mass vegetable consumption. The smoky charred aroma of your grill is always a crowd-pleaser. 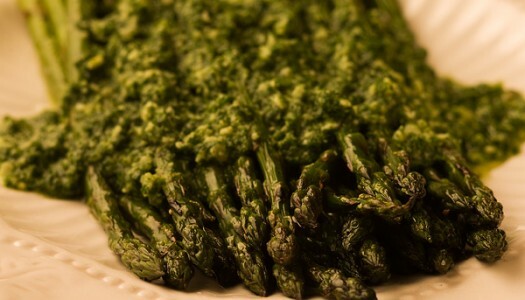 There are many ways to cook asparagus; my favourite is on the grill with lots of smoky flavour, especially when they’re tossed with a batch of a quick and tasty variation of pesto. 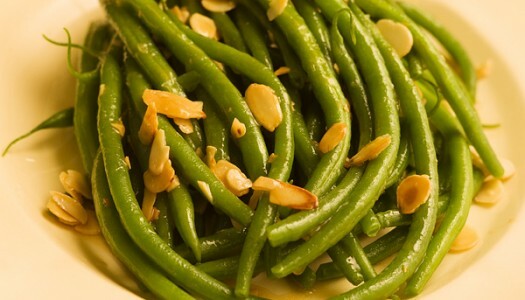 Green beans are one of my favourite vegetables, especially when they’re sprinkled with crunchy toasted nuts and dressed with brown butter. Browning butter is one of the all-time great flavour secrets; it’s an easy way to unlock lots of hidden flavour and dress up your plate. Of course, for a healthier twist, you can simply use flavourful olive oil. A bowl full of warm Asian greens is one of the healthiest things you can put on your table. 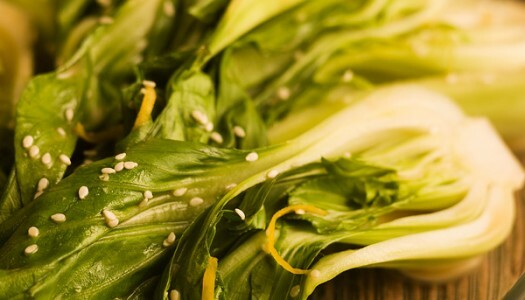 It’s also one of the tastiest, especially if you simply steam the greens and toss them with a quick, warm sesame dressing. Apples and red cabbage were made for each other! This is a traditional side dish for just about any meat, poultry, pork or game. 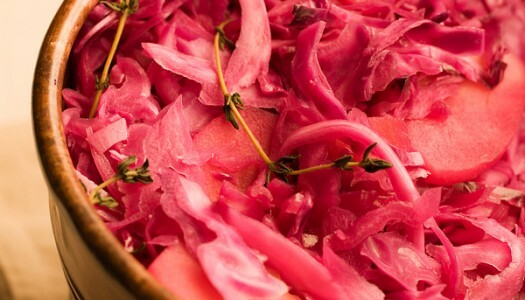 The earthy bitterness of the cabbage is perfectly balanced by the sweetness of the apple and the sourness of the vinegar. 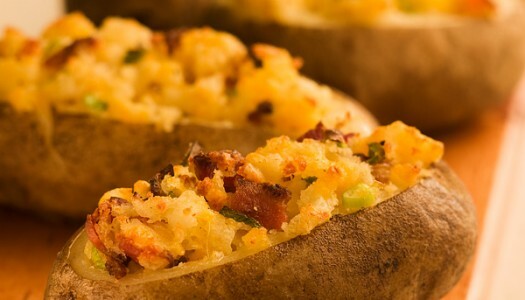 A baked stuffed potato is a thing of beauty. It’s the perfect blend of all your favourite potato topping flavours mixed together in an easy-to-make, easy-to-serve, all-in-one package. 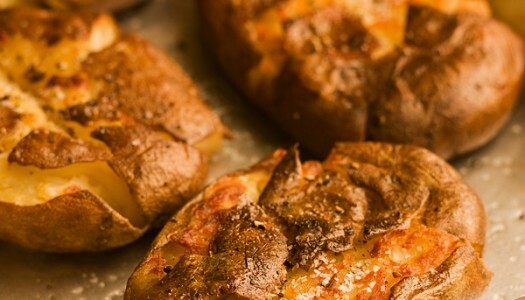 The secret to perfectly oven-roasted potatoes is a two-step process. First, gently boil and cook potatoes through, then rapidly roast and brown them. The resulting crisp exterior and tender interior are quite addictive. 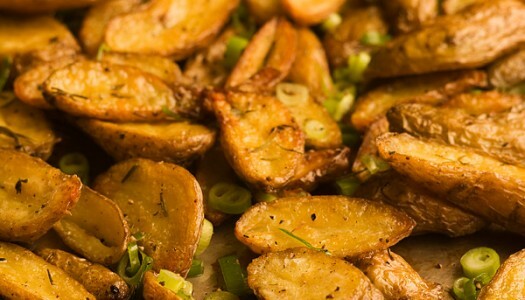 If you like golden brown crispy crusty potatoes, then this dish is for you. It was originally created as a way to use up leftover boiled or baked potatoes, but it’s so good that you’ll soon be cooking potatoes just so you can smash and crisp ’em. 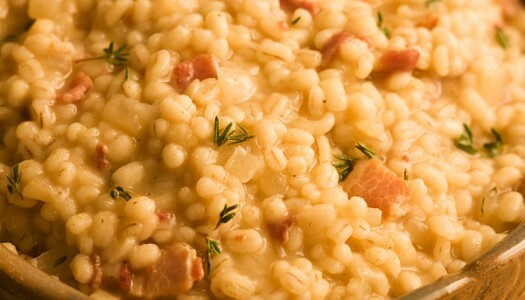 Risotto is one of the world’s great rice dishes. 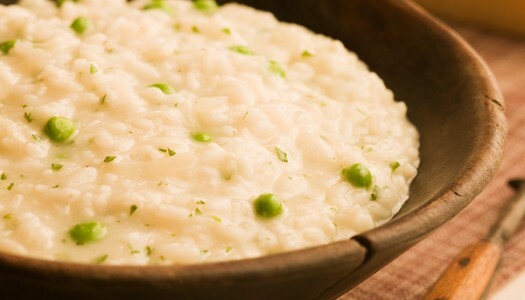 It’s a traditional Italian dish that must be made from rice varieties with very high starch contents. Its distinctive cooking method gently coaxes the starches out of each rice grain, giving the dish its characteristic creaminess. An exercise in patience, but the results are more than worth the effort! 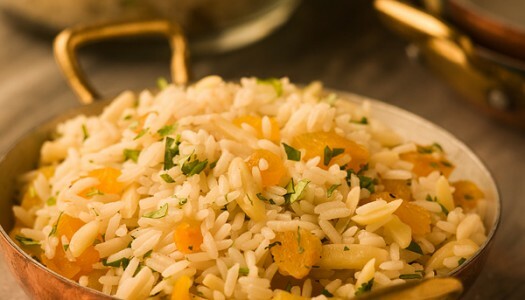 This simple, versatile rice pilaf is distinguished by its method of sautéing the grains briefly in oil or butter before adding liquid which adds flavour and helps the grains stay fluffy and separate. Rice pilaf is also a great jumping-off point for freestyle flavouring. 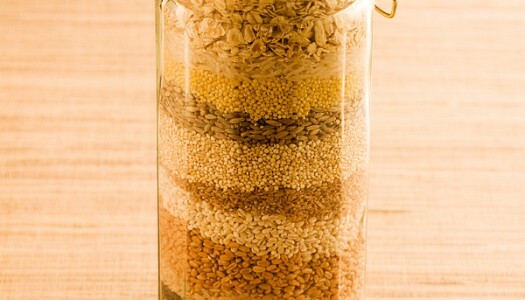 Whole grains are one of the tastiest, healthiest and most versatile ingredients in your kitchen. They’re also one of the easiest to cook. They simply need to simmer in water until they’re tender and ready to enjoy by themselves or as an ingredient in many other dishes.